“Weaving is a part of my culture, it’s a part of my Mayan identity. My mother taught me how to weave. She learned to weave from her mother. To keep the tradition alive, I taught my daughters how to weave. Weaving along with our language and traditional dress is an integral part of life as a Maya woman”. 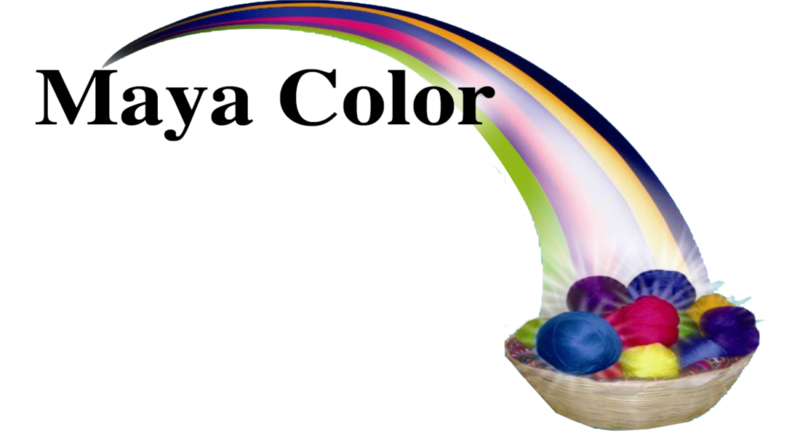 Maria brings you Maya Color, a creative, weaving arts and cultural website to ensure that our world will continue to be rich in diversity and strong in tradition. Maya Color sources quality, functional Guatemalan textile products from artisans in the central highlands of Guatemala. Shop for a variety of exceptional weavings and Guatemalan textiles from Maya Color, including a line of purses, accessories, folk art, musical instruments, wood carvings, bead jewelry, nativity sets, wrap-around shawls and other Mayan hand-made products. Maya Color directly sources textile products from artisans in the central highlands of Guatemala. We work closely with twenty artisan families that represent a variety of Mayan ethnic groups. These artisans have withstood the passage of time to continue to practice their traditional arts. These artisans and their families produce a wide range of everyday-use Guatemalan textile items using diverse natural-based materials such as cotton threads, soft and hard woods, bamboo, leather, hides, cane, twine, reeds and pebbles. The hand-made products include purses, wallets, accessories, jewelry, musical instruments, folk art, shawls, nativity sets, wood carvings and other unique hand-made gifts. Maria Cuc, also works directly with Mayan weavers from Sololá to sustain their unique weaving skills and traditions. Kakchiquel weavers produce high quality, durable Guatemalan textiles using the complex “ikat” weaving technique. View Maya Color’s website to shop a variety of exceptional weavings and Guatemalan textiles, including a line of purses, wallets, accessories, folk art, musical instruments, wood carvings, bead jewelry, nativity sets, and wrap-around shawls. You will also find a variety of esteemed Ikat-woven products from Solola and other Mayan art that will bring exquisite beauty and a touch of Mayan culture into your home.